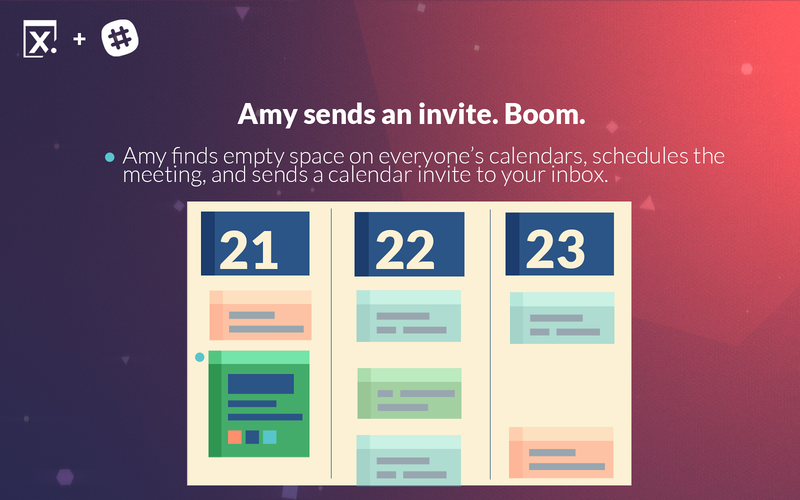 Scheduling your own meetings eats up hours of your time every week. 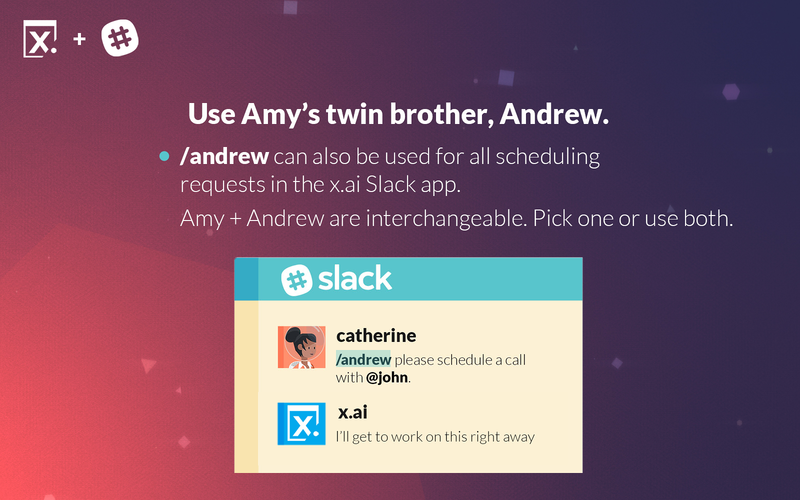 Our AI assistants, Amy + Andrew, schedule meetings for you. You stay in Slack and focus on what matters. 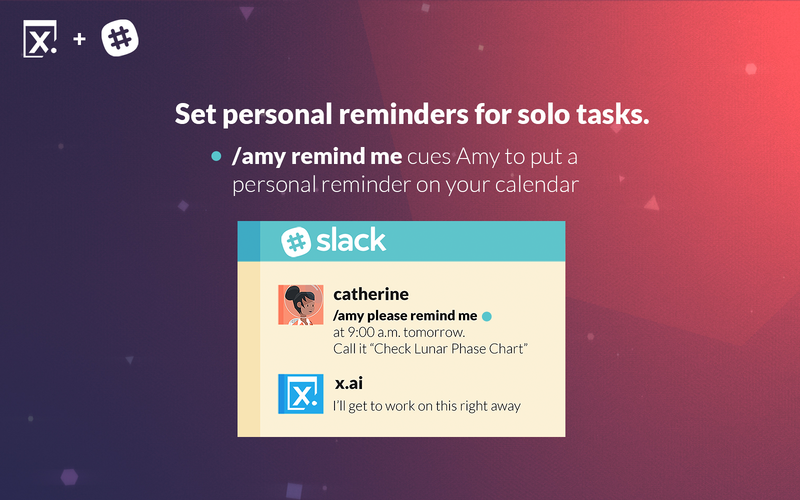 Sign up for a free trial and enjoy more time to get things done. • Colleague pings you about getting coffee? Scheduled. • Frantic DM about meeting up before a deadline? Scheduled. • Team wants to do a lunch + learn? Boom. On the calendar. Activate /amy or /andrew, and tell them what to do (e.g. "please schedule a meeting" or “please set up a call”), tag the meeting participants, and Amy + Andrew will find a time, set up the meeting, and send the calendar invite. Back to work. 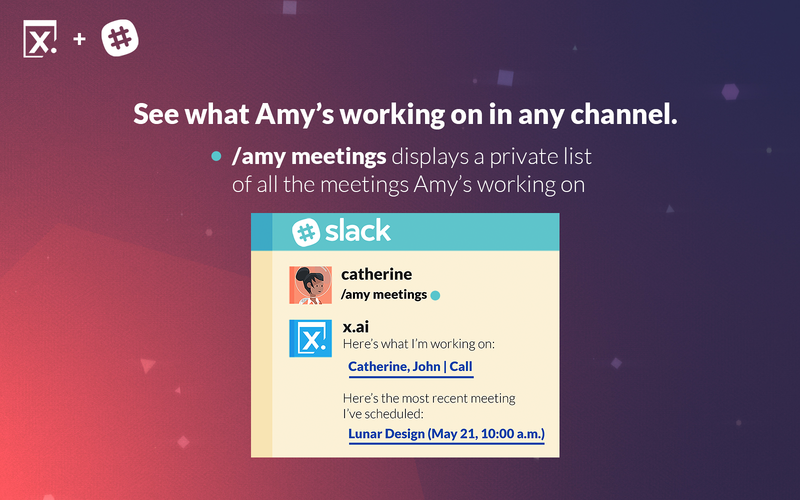 x.ai meeting scheduling will be able to view the email addresses of your Slack workspace’s members. 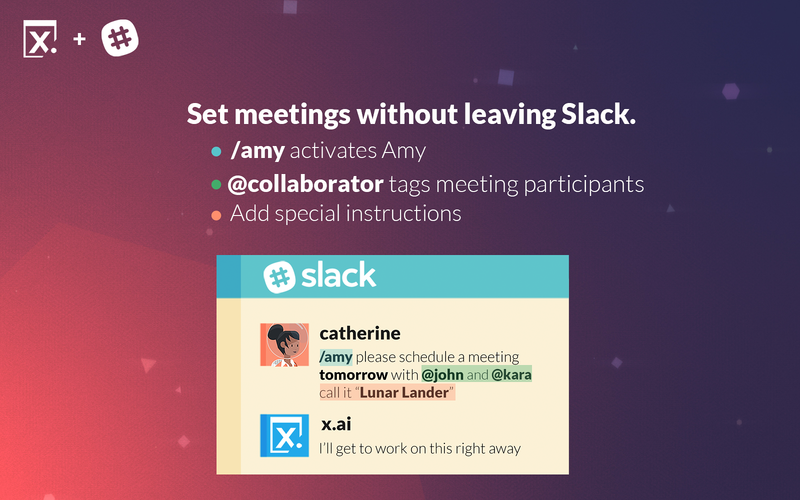 x.ai meeting scheduling will be able to send messages to your workspace. 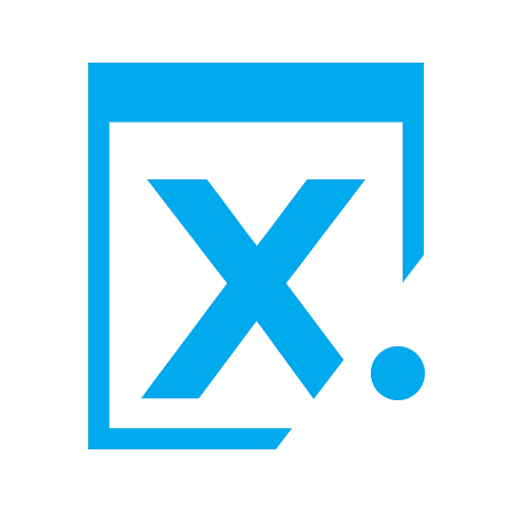 x.ai meeting scheduling will be able to modify the unread status of your direct messages. 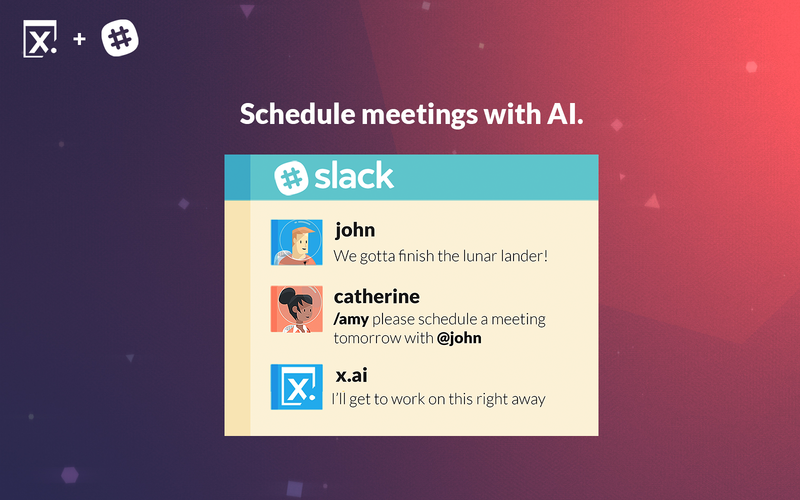 x.ai meeting scheduling will be able to access profile information for all users on your workspace, including names and contact information.